Executive coaches come from all walks of life. Most coaches started their careers in very different professions before moving on to becoming coaches. By this measure, it’s safe to assume that the coaching profession appeals to a vast array of eclectic people. 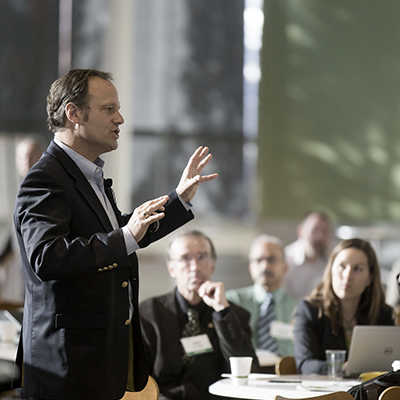 With the ever-evolving pace of change and complexity in organisations and economies, there’s never been a higher demand for seasoned executive coaches to help professionals achieve their goals. While external executive coaches play an important role in facilitating organisational development, one doesn’t need to aspire to become a professional coach in order to develop coaching skills. 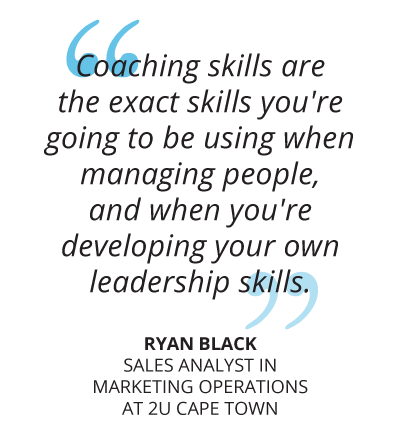 This is the case for Ryan Black, Sales Analyst in Marketing Operations at 2U Cape Town. 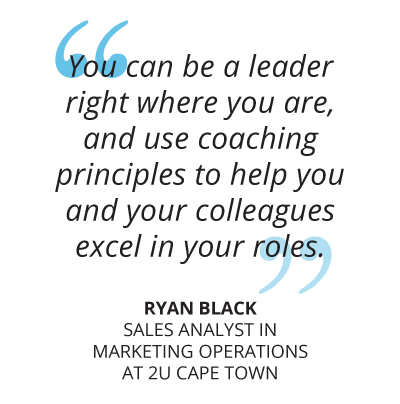 For Ryan, who recently completed the University of Cape Town Executive and Management Coaching online short course, it was more about developing his own leadership skills. “I’m not interested in becoming a professional coach, but to me, coaching is closely linked to leadership. Coaching skills are the exact skills you’re going to be using when managing people, and when you’re developing your own leadership skills.” Whether you want to develop your own leadership skills for the position you serve in or share your wealth of experience by becoming a professional executive coach, you want to get the best out of the people you are working with. To do that, you need to develop specific skills that can be used across both executive coaching and leadership roles. “I’ve found the skills covered in the course, in how you approach change management and how you look to get the best out of people and understand where they’re coming from have been very useful,” Ryan continued. While coaching is a powerful intervention to enhance performance and embed sustainable change at the same time, one doesn’t need to be in an executive coaching position to live the life of a coach. You can be a leader right where you are, and use coaching principles to help you and your colleagues excel in your roles. On challenges facing executive coaches, Ryan said, “I think there’s very little out there when it comes to coaching the coach. A lot of it is really based on your reputation and experience, and that’s how the industry works.” It’s almost to say that people simply accept successful executive coaches as being naturally good at coaching when the truth is they also needed to learn the guiding principles of becoming great coaches. The UCT Executive and Management Coaching online short course enables you to build skills in professional coaching to support your organisation or clients in creating sustainable performance at individual and company levels. During the course, you assess yourself as a coach and map a personalised coaching model. Invest in your own development as an executive coach and leader and develop skills that will benefit you throughout your career. Study online in your own time and earn a certificate from the University of Cape Town attesting to your newly gained skills as an executive coach.